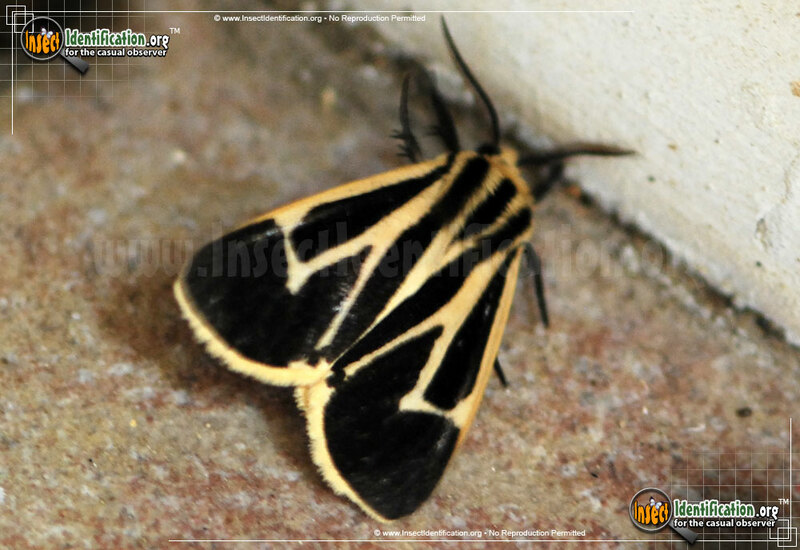 Detailing the physical features, habits, territorial reach and other identifying qualities of the Banded Tiger Moth. 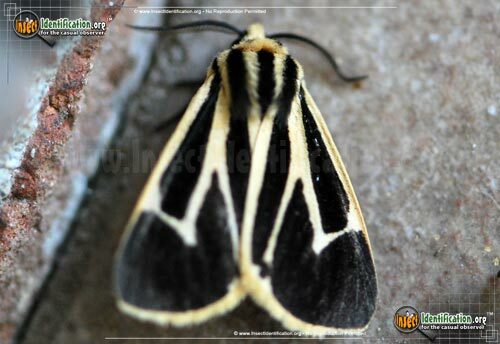 The flash of bright color on the hindwings of the Banded Tiger Moth adds more intrigue to this uniquely patterned moth. 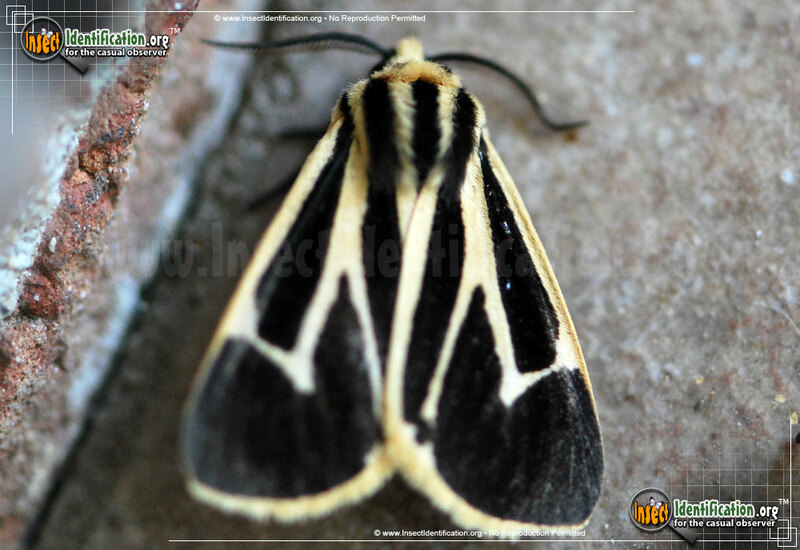 Though each species of Tiger Moth has its own pattern, it can be hard to see the differences between the banding patterns of species in the same genus. 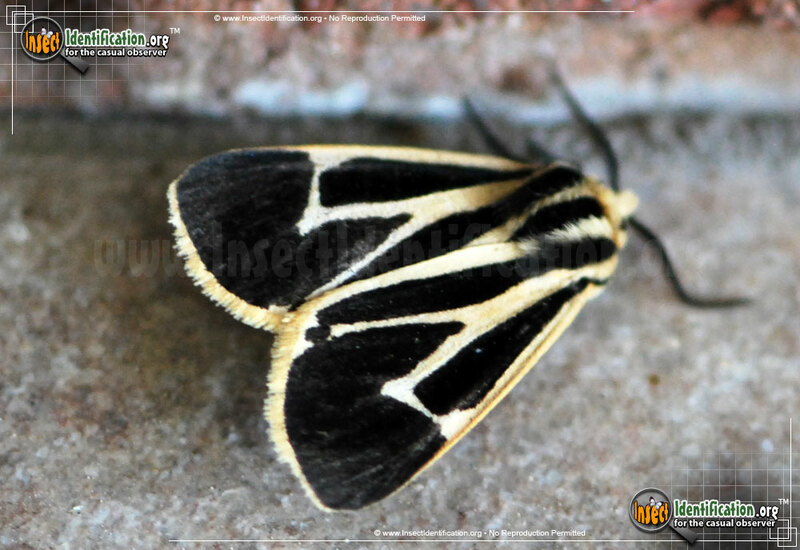 The Banded Tiger Moth is a medium-sized moth that is dark-brown, almost black. A crisscross of ivory bands do not stretch the full length of the wings, but cover most of them. A careful examination of the positions of these ivory bands is useful in differentiating between species. 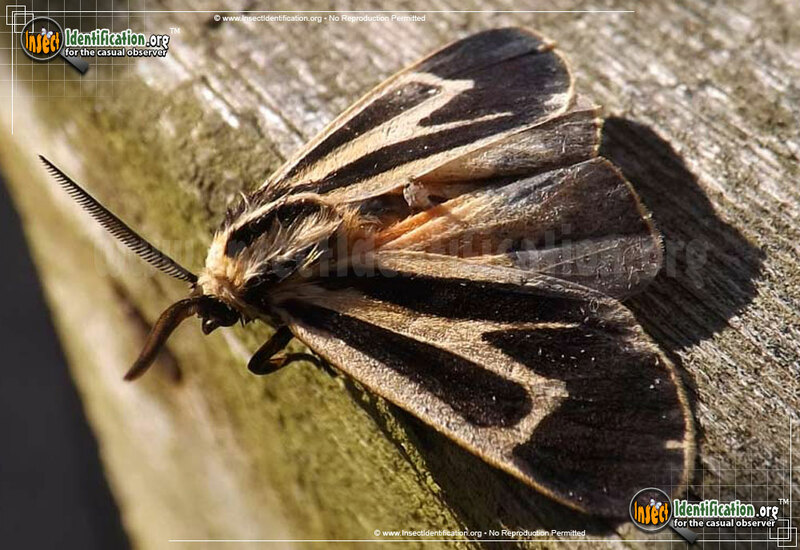 The bottoms of the forewings of this species have an ivory fringe border. The Banded Tiger Moth rests with its forewings flat, covering its hindwings. 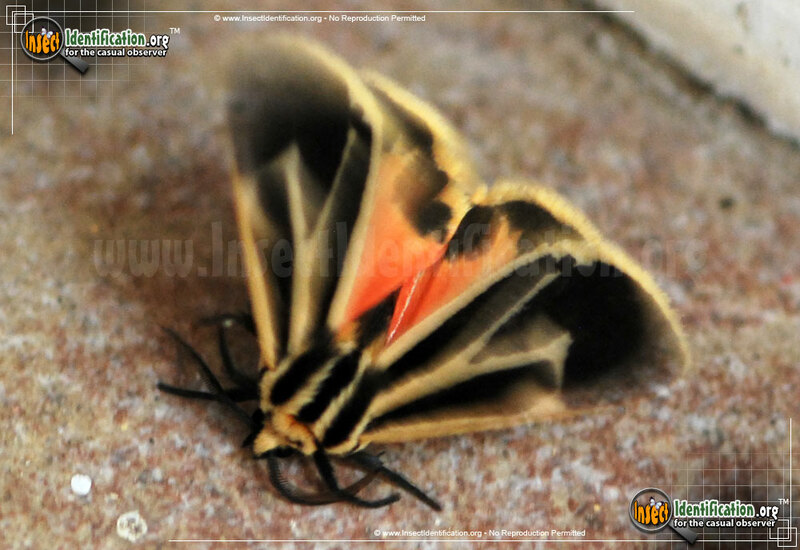 When the wings are spread wide and the hindwings are finally visible, they reveal a salmon pink and yellow pop of color. Adults can be seen flying near flowers and above lawns as well as through meadows, parks and fields from spring into autumn. The caterpillars eat dandelions and a variety of other herbs before pupating into their flying adult forms.